Do you just want to climb anything and everything that you see? Do you ever look at a tree or a side of a building and think “yeah I could climb that?” I do and every new place I go, I always look to see what are the best places to go rock climbing in that area. I was very surprised when I found that Southeast Asia has endless opportunities for rock climbing whether you’re a beginner or an expert. This is apparently due to the belief that its landscape evolved from an ancient coral reef system, forming the jagged limestone cliffs that we see today. 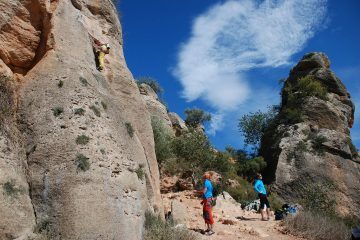 Naturally rock climbing enthusiasts all over the world come here for it’s unique landscape and stunning views! So here is our list of the top places to climb your way through Asia. There are numerous places to rock climb in Thailand such as the beautiful Crazy Horse Buttress just outside of Chiang Mai. However, the most popular location to climb has to be Railay and Ton Sai in Krabi where even the newest climber can enjoy the stunning views. 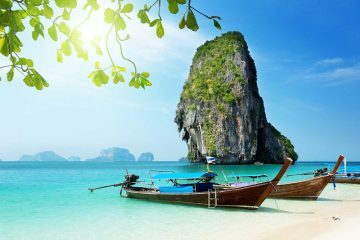 Krabi: Imagine yourself mid-climb on one of the many towering limestone cliffs with white sandy beaches and clear turquoise waters surrounding you. As you climb, the breeze will deliver you the fresh sea air while the sound of the waves crash beneath you. With so many different climbing routes to take, first time climbers and hard-core experts will all be climbing together taking in the views. The best part about Railay and Ton Sai is the friendly atmosphere. Expect to make friends, spend the days on the rocks and the nights at the chilled out beach bars listening to reggae tunes. 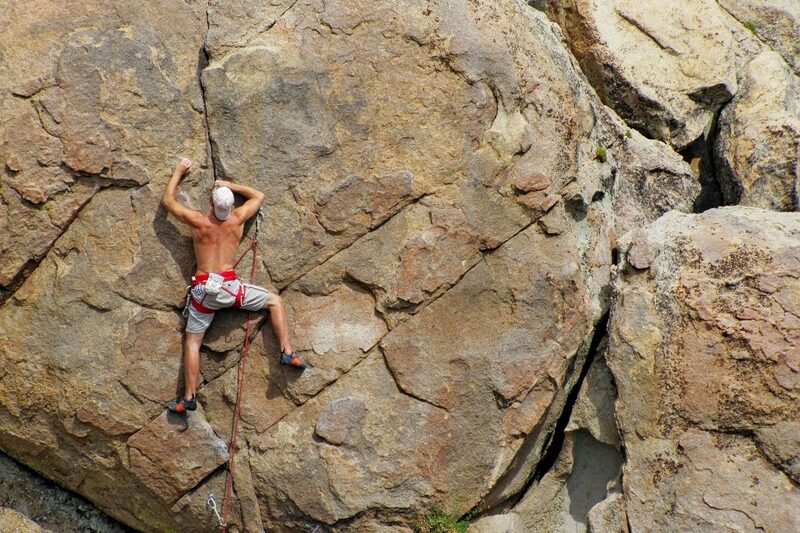 Thailand is the top choice for rock climbing addicts and it’s no wonder. It’s climbing heaven! Rock climbing has only been possible in Laos since 2002 after the government offered climbing permits to a small group of climbers. From 2005 onwards, it became possible for fun climbers to scale the cliffs of Laos without a permit for a small fee of $5 to the climbing company, Green Discovery. 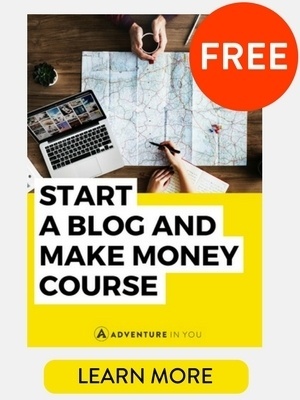 Vang Vieng – Known for its infamous buckets and tubing exprience, the remarkable mountainous landscape of Vang Vieng is lesser known and therefore the amazing rock climbing routes that come with it. Visit Tham Nam Them where you can take a 1 day or 3 day climbing course in the lush green foliage of the mountains. With multiple routes from 6a’s to 8a’s, this area is continuously being developed with sustainability and eco-tourism in mind. Luang Prabang- Although not as popular as Vang Vieng, the mountains in Luang Prabang offer endless opportunities for budding rock climbers. Gecko Mountain and the cliffs overlooking the Mekong River are spots that you can’t miss while climbing in Laos. Remember the beautiful limestone cliffs that were supposedly made from an ancient coral reef? 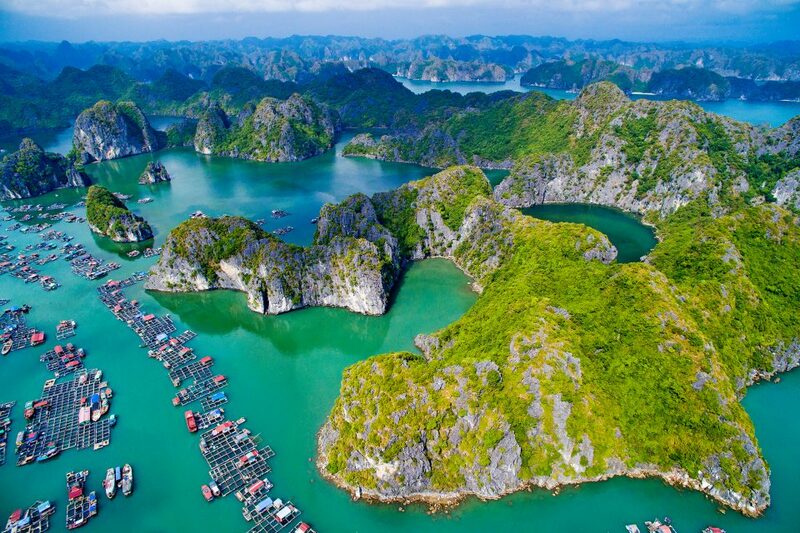 Well you can see the spectacular landscapes as they are today in Halong Bay in Vietnam. With over 3,000 limestone monoliths over 1,500km, Halong Bay is considered one of the most beautiful seascapes on the planet and has been a UNESCO World Heritage Site since 1994. Halong Bay- With thousands of karsts rising out of the emerald green waters and dominating the horizon, each one beckons to be climbed! Arriving in Halong Bay by boat, once you get over the initial shock of the breathtaking scenery you can choose your climbing area. Whether you fancy Moody’s Beach, Offheimer’s Creation or Pyramid Cave, each area provides you with great rock climbing routes and even better views! For the more experienced climber, Halong Bay has been named the best place to deep water solo in the world. This is where you free climb the cliffs at high tide with only the water to break your fall! Although two of Indonesia’s top locations for rock climbing are hours apart from one another, everyone I know who has travelled there has highly recommended that you try and do both even if they are the only activities you get to do. Lake Toba- A gateway to the wonders of nature is the largest volcanic crater lake in the world, the spectacular Lake Toba. Climb the cliffs and peaks that surround the stunning lake and make time to see the magnificent Sipiso Piso waterfall, the highest in Indonesia, close by. While you fill your days with climbing in this serene landscape, spend the evening relaxing in the idyllic Samosir Island in the centre of the lake. 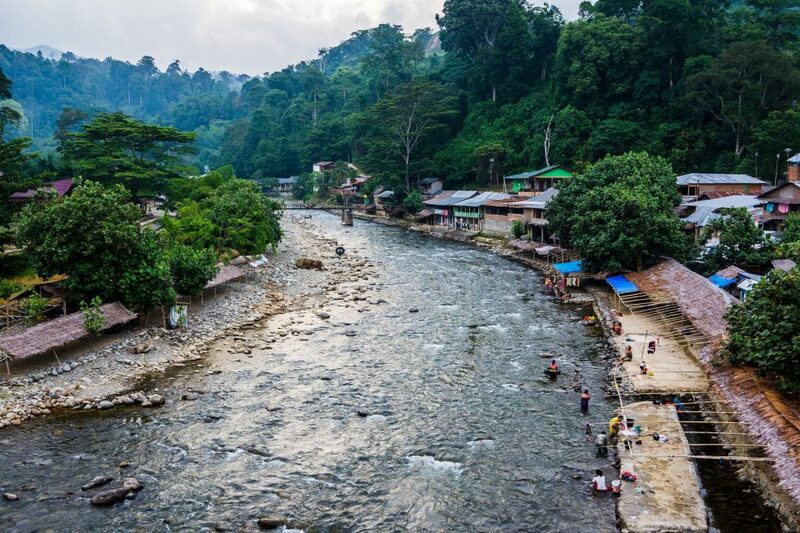 Bukit Lawang- Deep in the jungle alongside an ever-changing brown river, is Bukit (hill) Lawang. The climbing here is challenging but with rewarding views of the humid forest and dense foliage. You may even spot some orangutans in the wild as they are rehabilitated here! 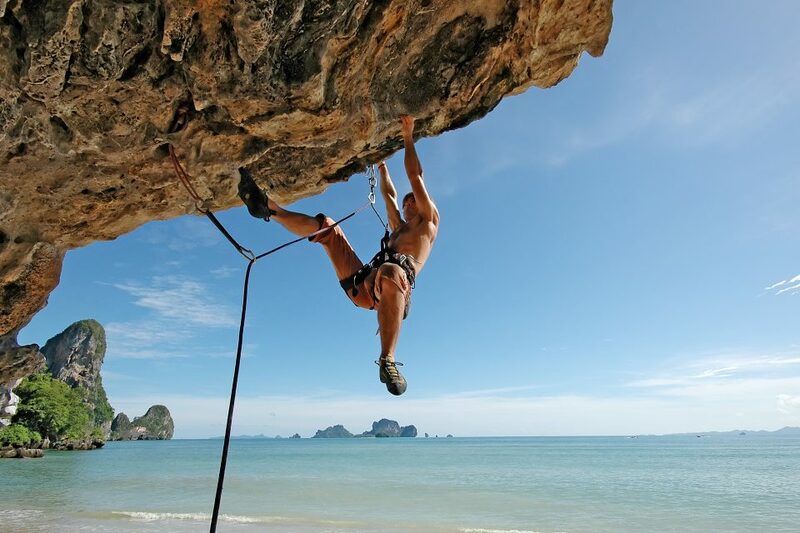 Like Thailand, Malaysia is a popular place for rock climbing and boasts many areas with a wide variety of routes. Although the main region for climbing is in the Capital’s Batu Caves, there are many other locations that are now on the climbing map! 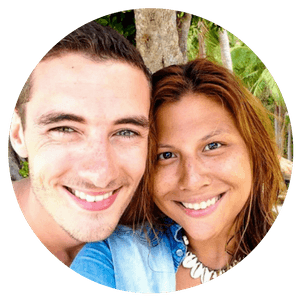 Tioman Island: Getting bored of rock climbing limestone cliffs? Of vertical climbs and overhangs? It’s very unlikely, but if you are, Nipah Village on Tioman Island boasts sandstone cliffs that make bouldering enthusiasts think they’ve died and gone to heaven! 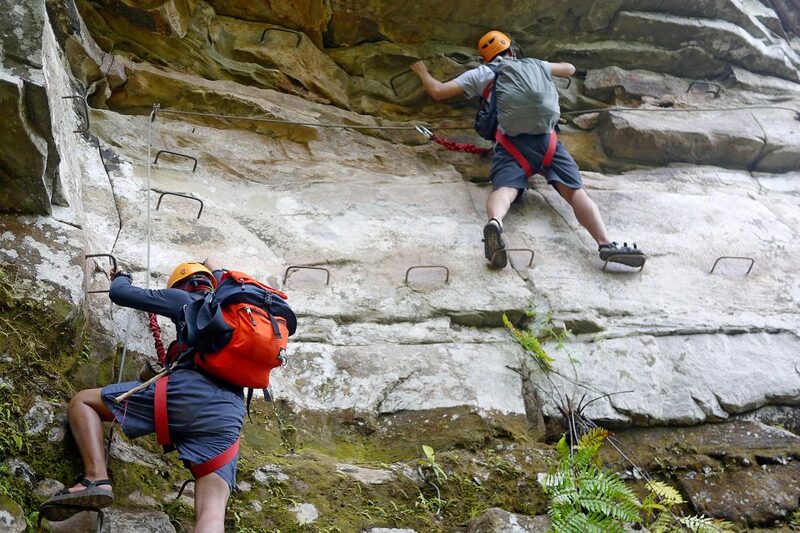 With a short jungle hike to get to the climbing site, enjoy a day slab climbing and exploring the 6a-7a routes. Location: Batu Caves in Kuala Lumpur, Tioman Island, Perlis, and Gua Mustang. Although not known as a “climbing destination,” the Philippines does conceal multiple untouched climbing walls set amidst beautiful landscapes. Not much is known about these hidden realms of the climbing world. 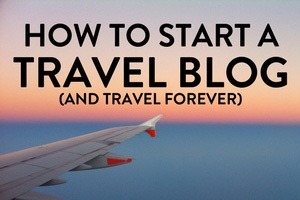 There are no route guidebooks or complete accounts on the internet. However, very slowly the knowledge that the Philippines offers some rock climbing possibilities is slowly spreading and routes are being discovered. Cantabaco, Cebu- One of the most festive islands of Cebu, right at the island’s heart in the centre of the jungle is the local climbing destination. You can spend hours here attempting each route up the limestone cliffs to reward yourself with the magnificent views of Acacia canopies and the town below you. The entire Cantabaco cliff is full of pockets, tuffas, overhangs, crimps and slopers, which cater to every kind of climbing style. Go nuts! 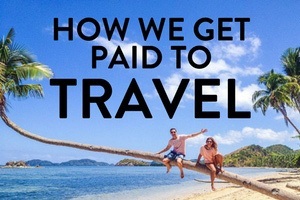 Location: Cantabaco in Cebu, Dingle cliff on the Island of Iloilo, and the limestone karsts in Palawan. 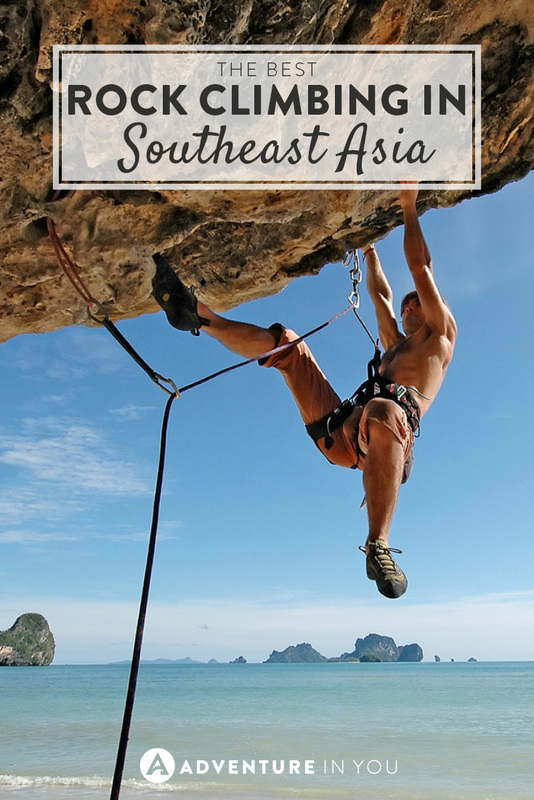 So now you know of all the rocky adventures to be had in Southeast Asia, don’t you just want to tackle them all? 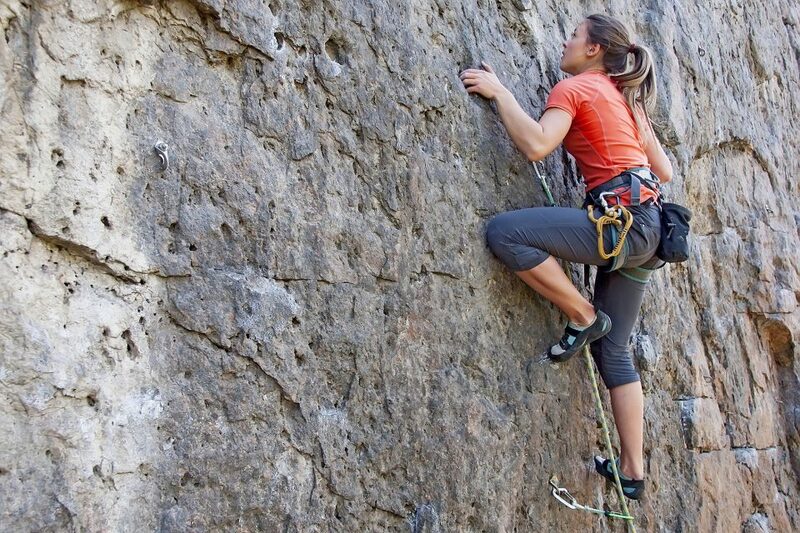 With the vast range of cliff faces to climb and views to be admired, rock climbing is the perfect activity to do if you want to experience the true natural beauty that can only be found in Asia.